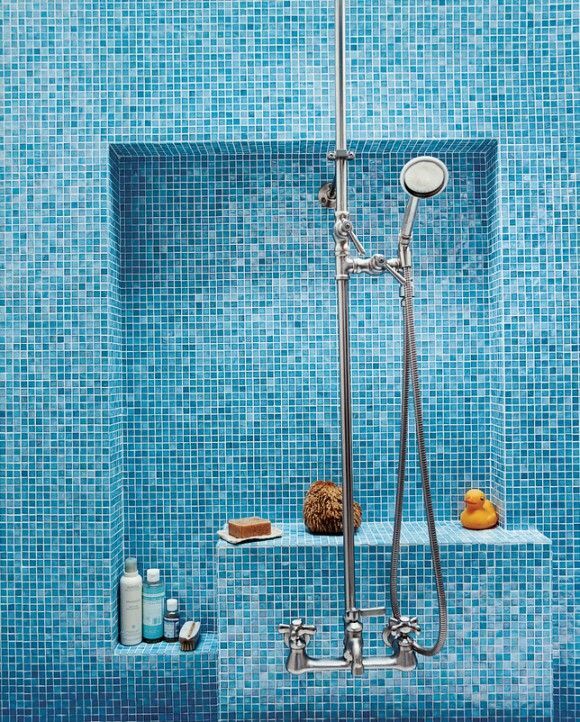 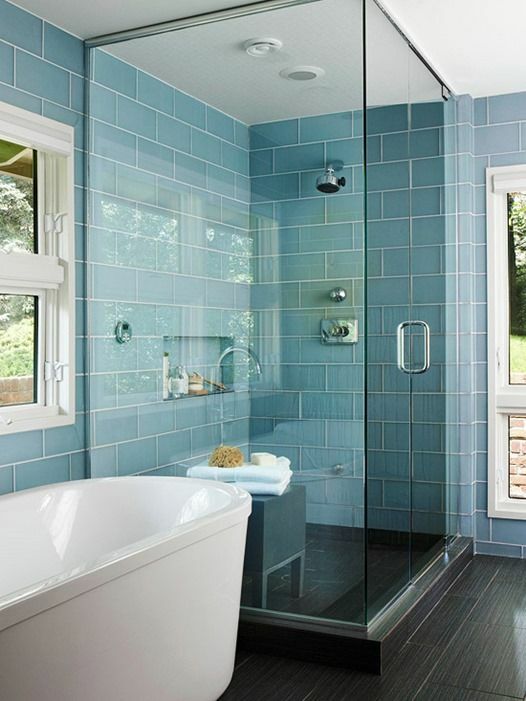 Wonderful blue color in all its shades is perfect not only for bathroom but for shower area as well. 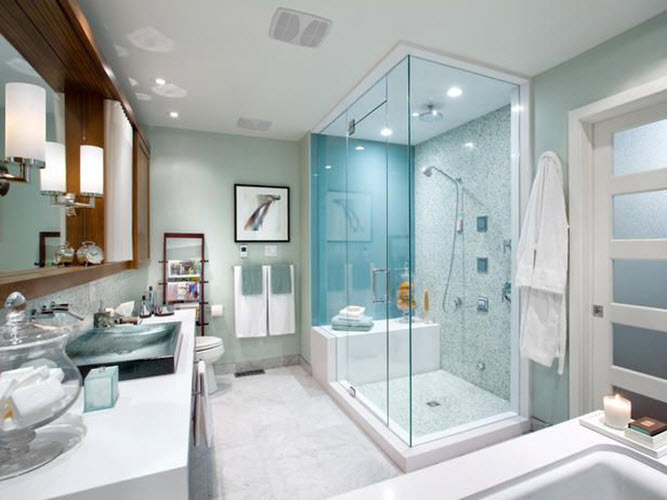 May be, even better for shower than for bathroom as this is the zone where we like to get energy boost in the morning to feel fresh for the rest of the day. 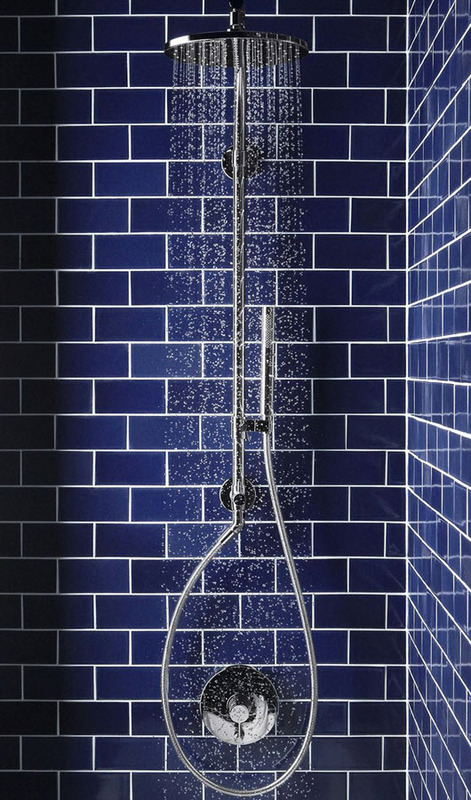 So, blue shower is the perfect answer to any workday blues…sorry for tautology. 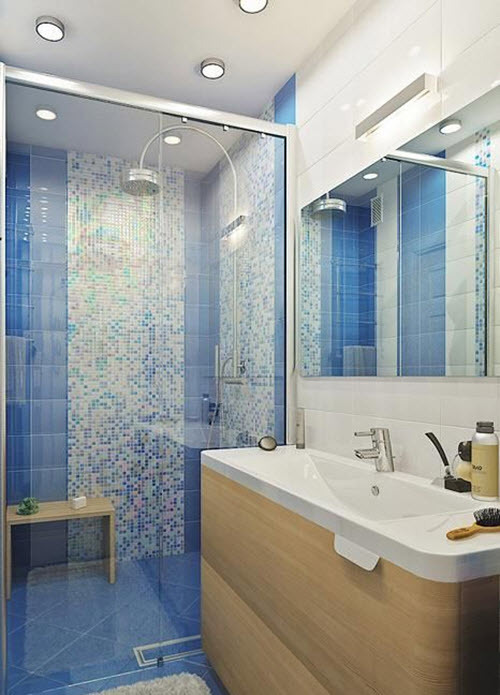 You see, blue color is one of the most complex ones: it can be calm and peaceful but joyful and energetic at the same time. 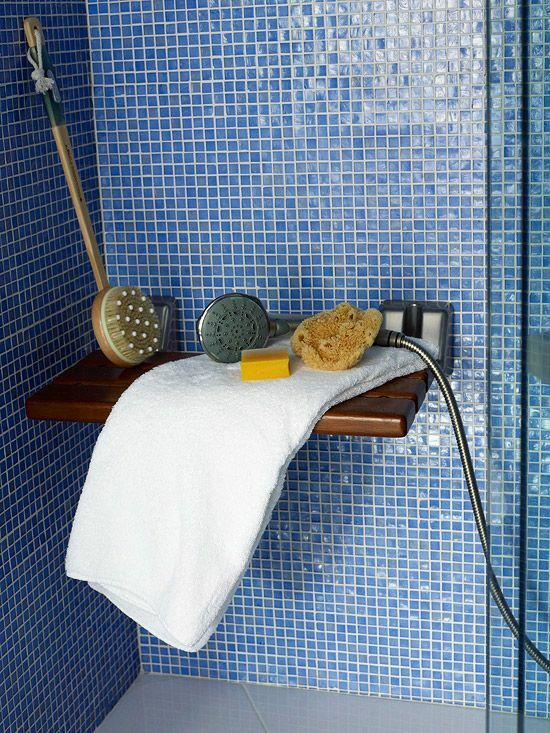 What else do you need for a shower area where we like to get fresh in the morning and get relaxed in the evening? 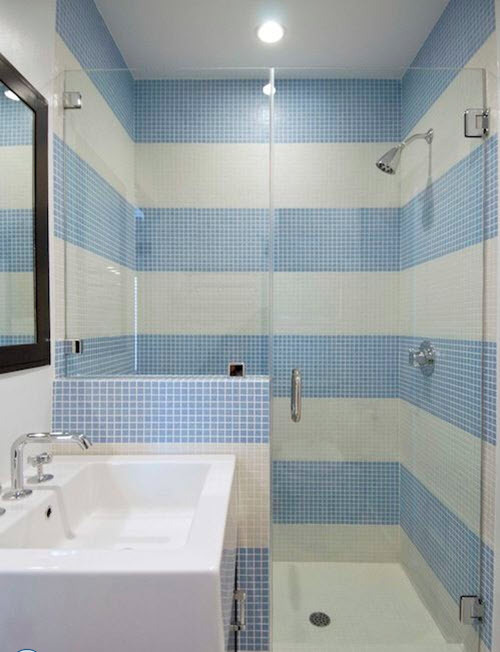 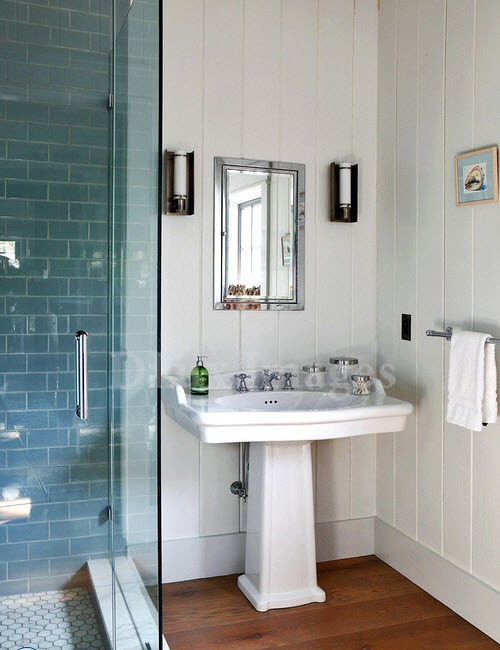 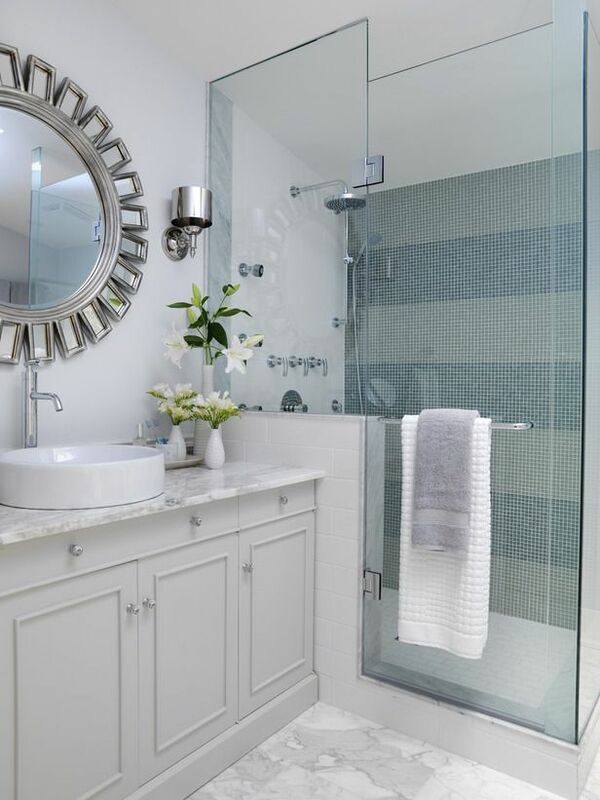 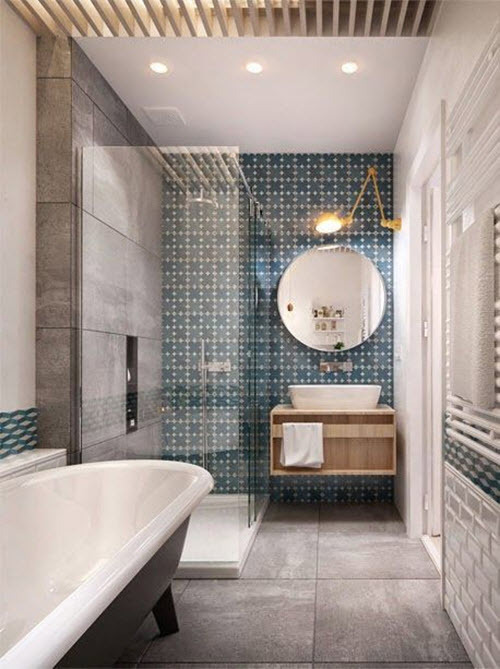 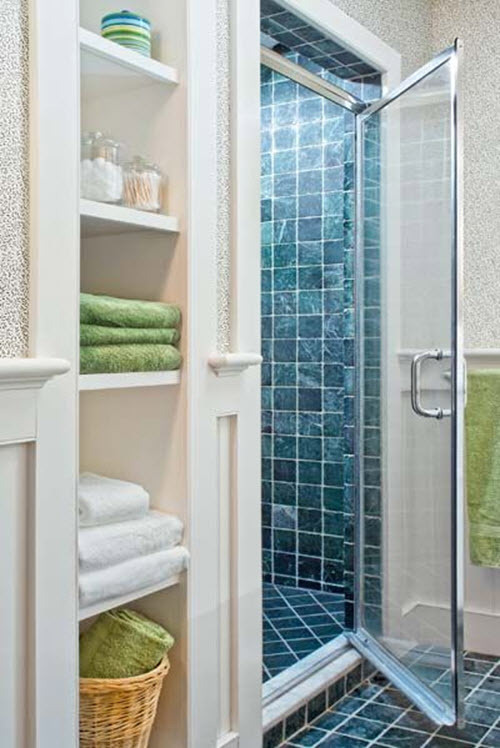 If you have both shower booth and bathtub in your bathroom and want to incorporate blue in this space then shower zone is best for it. 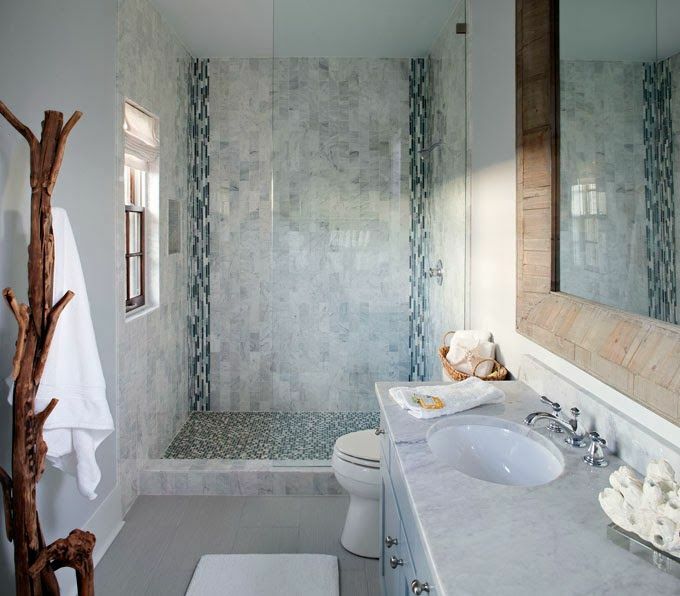 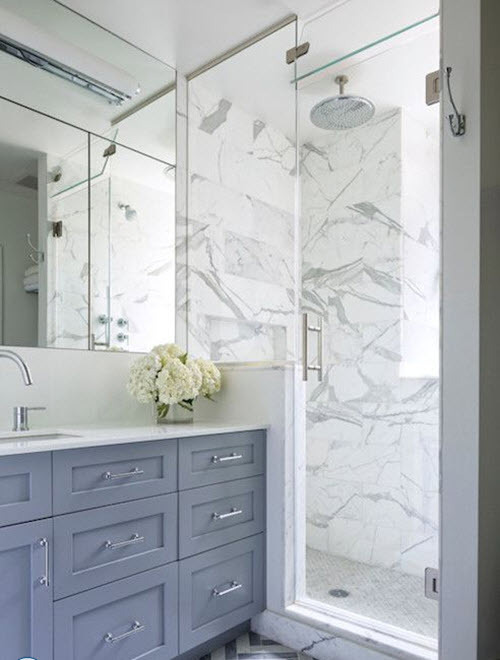 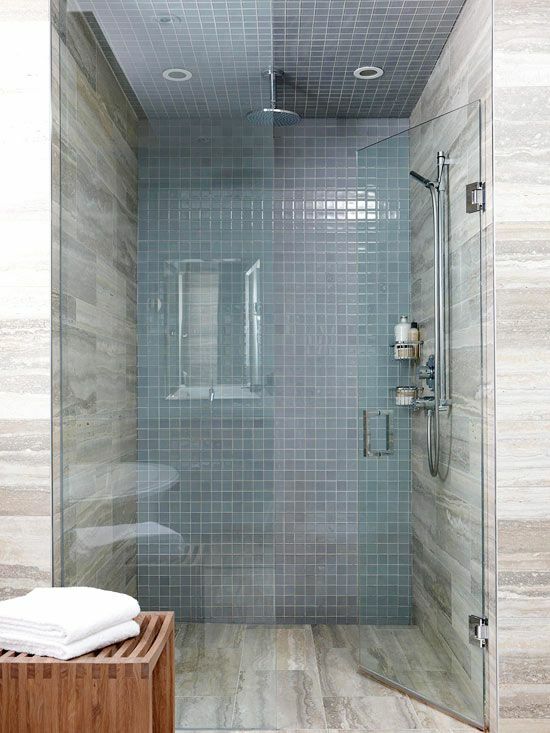 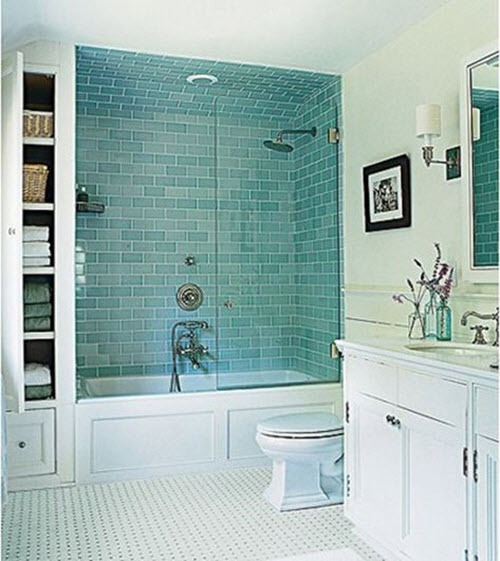 And tile is best material for shower areas: you can choose subway tile for more contemporary look or use mosaic to add more uniqueness. 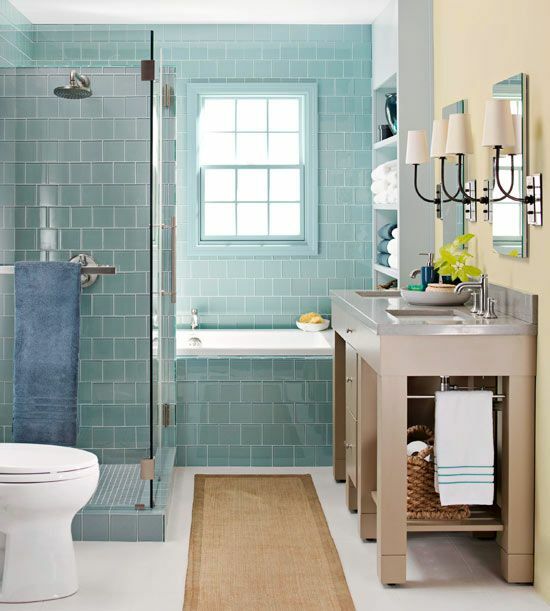 And be sure to think carefully about the right shade: baby or sky blue or darker shades. 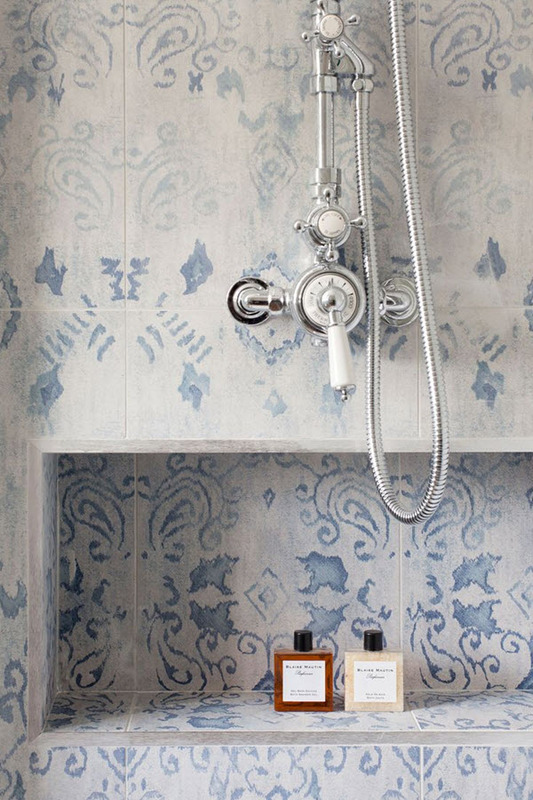 like navy-blue? 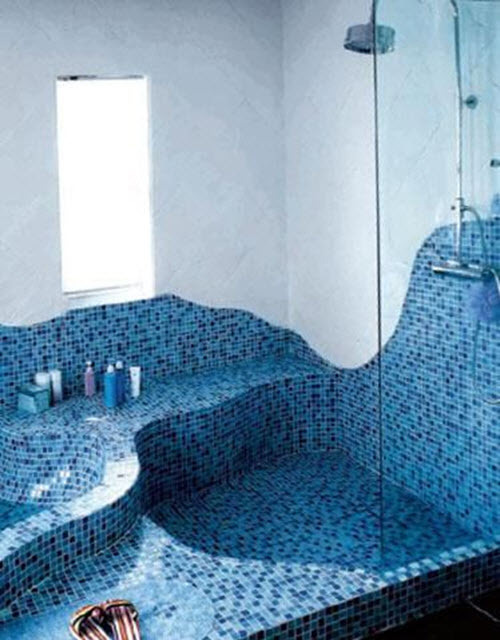 You have something to think about! 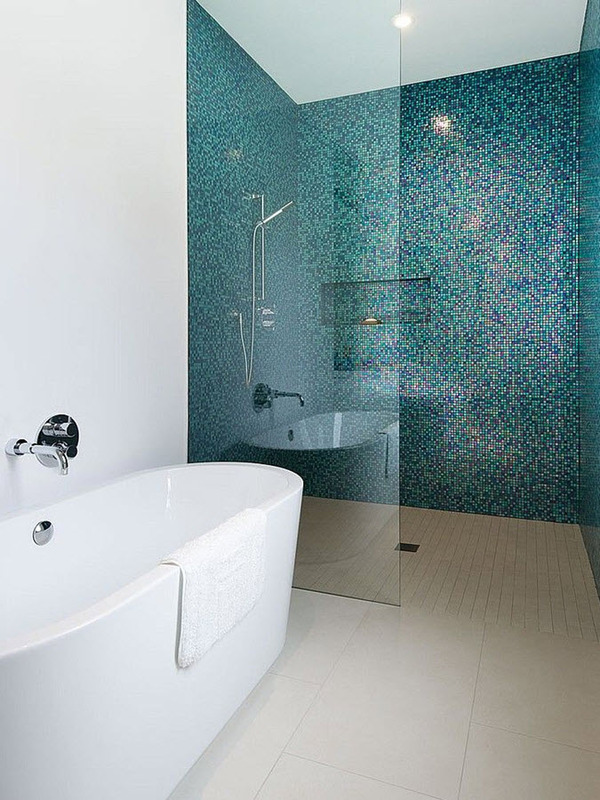 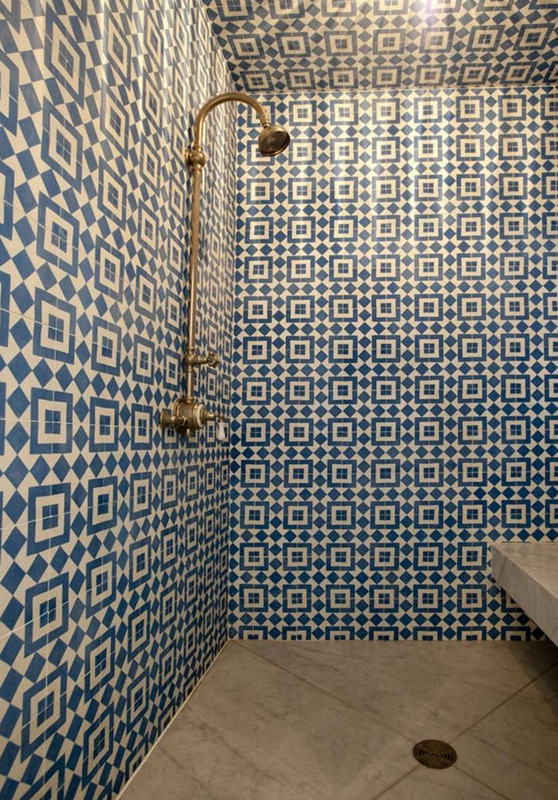 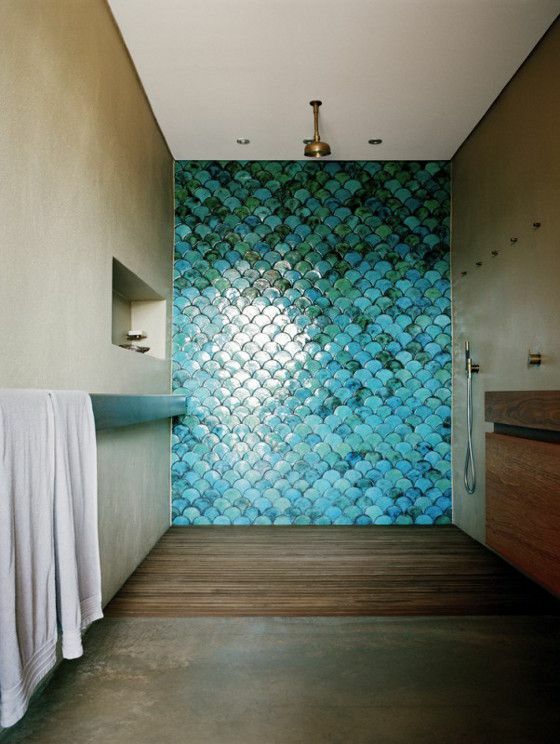 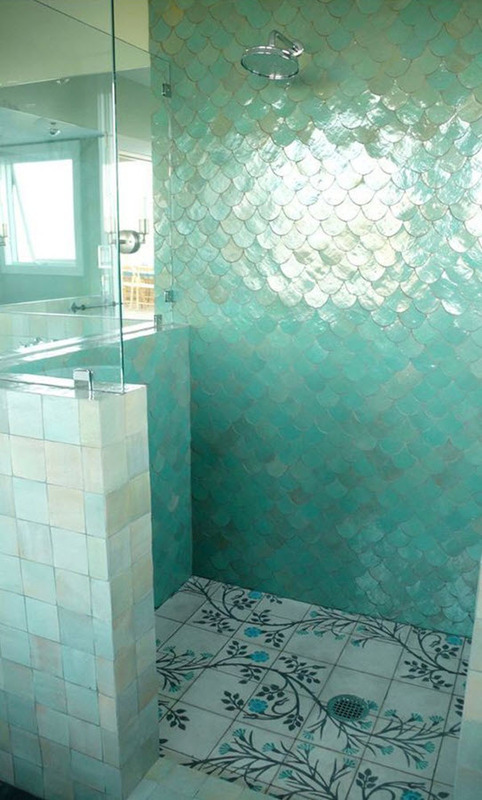 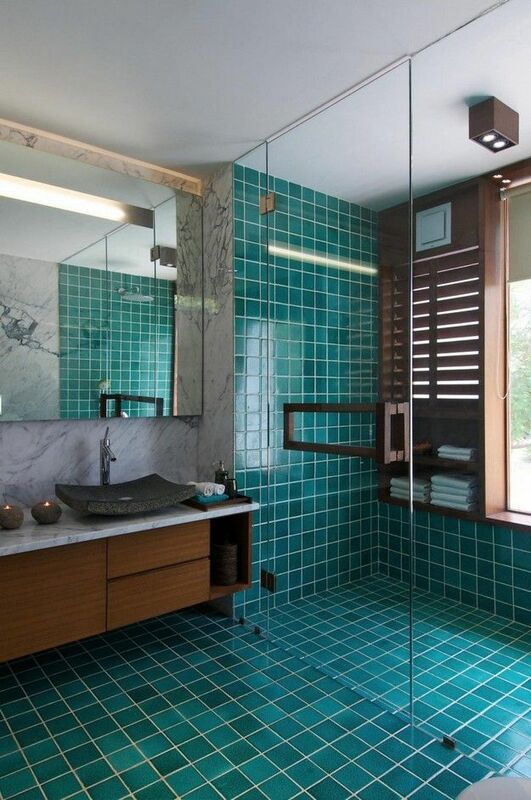 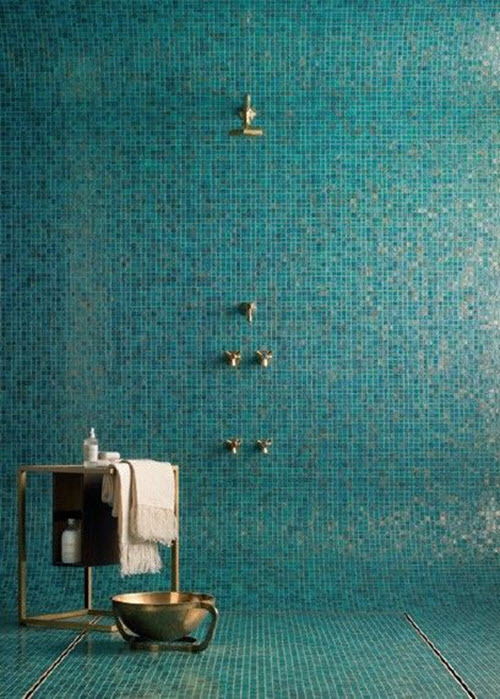 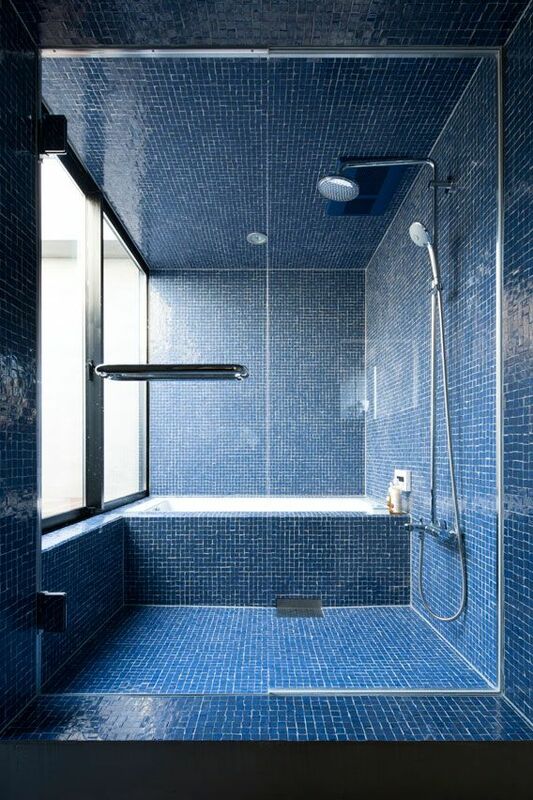 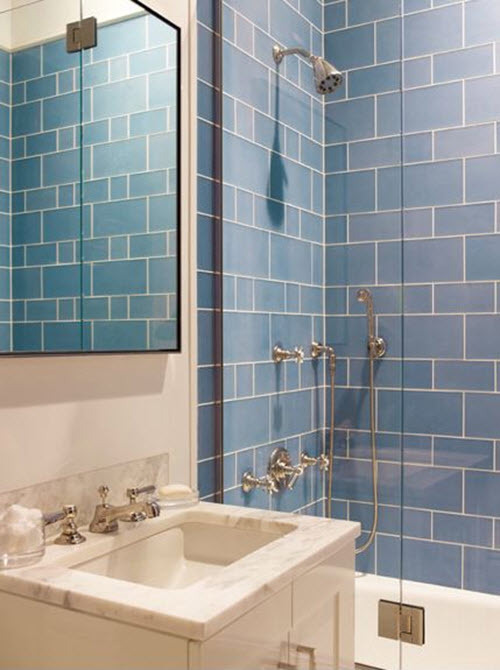 Anyway, even though blue shower tile can be different it’s worth your consideration as it looks gorgeous. 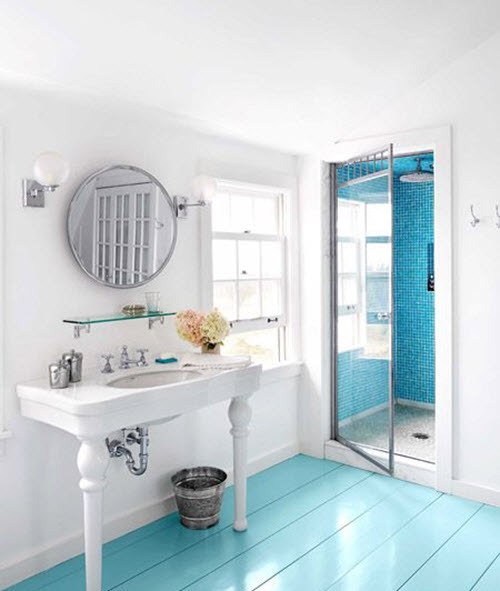 Judge by yourself! 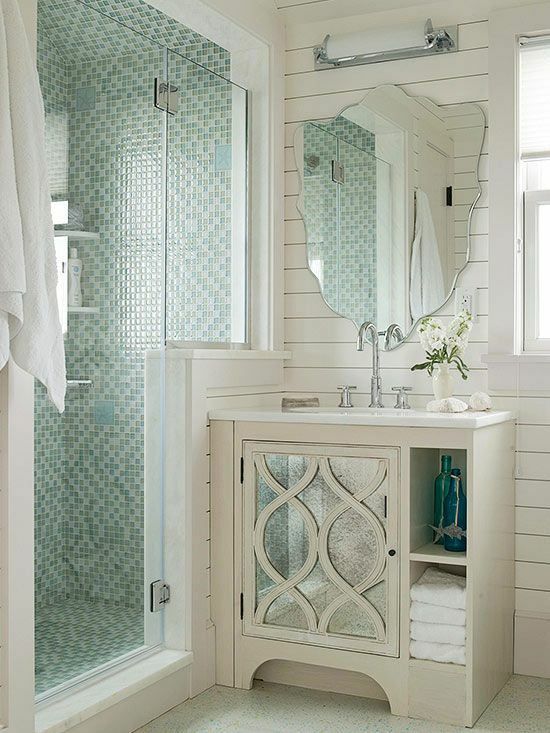 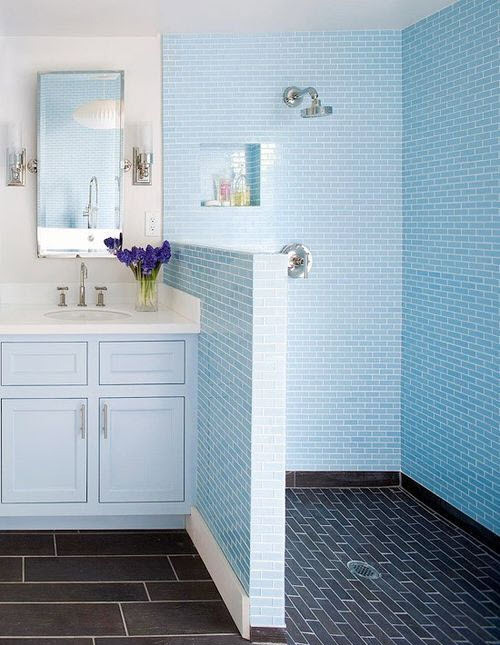 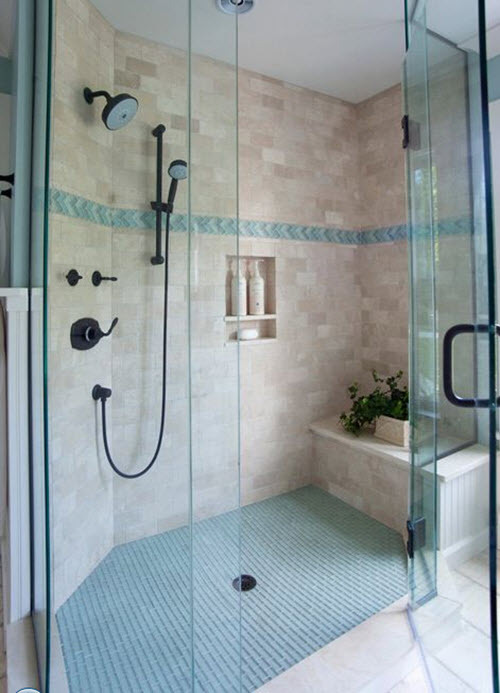 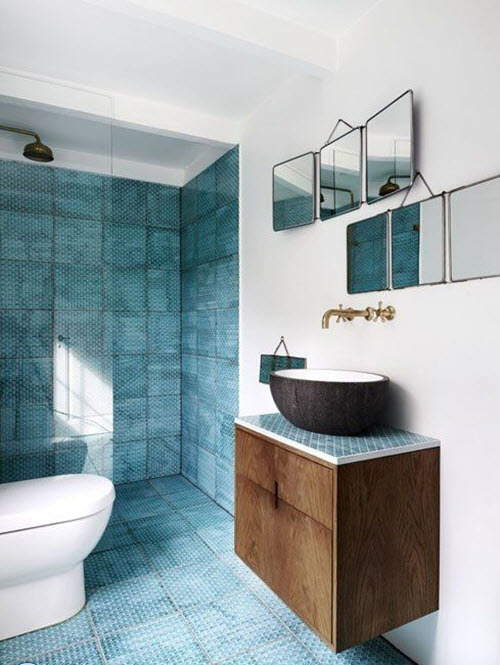 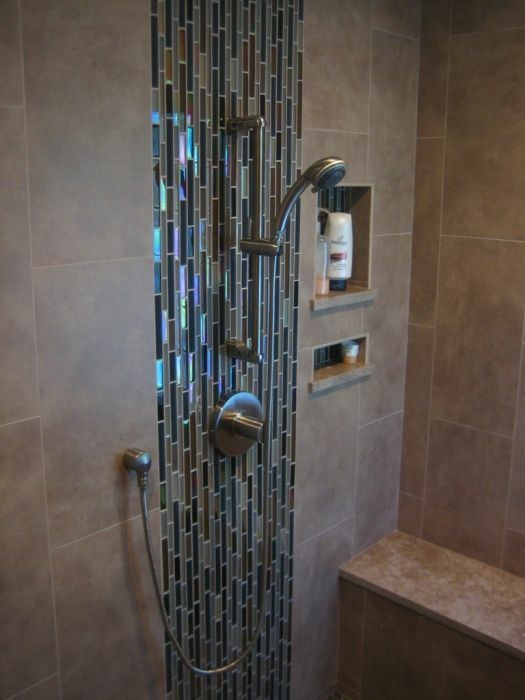 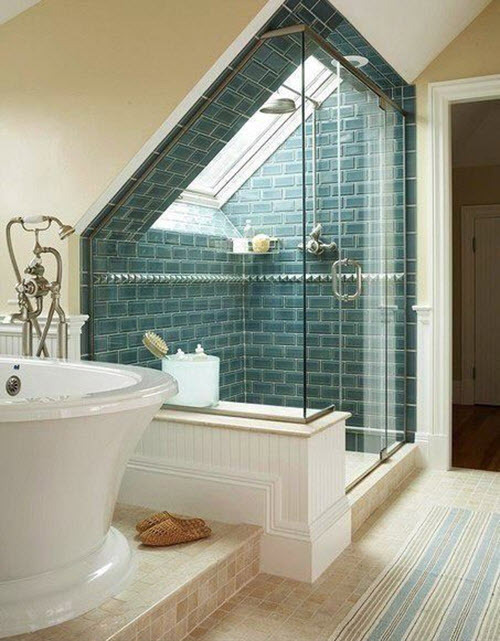 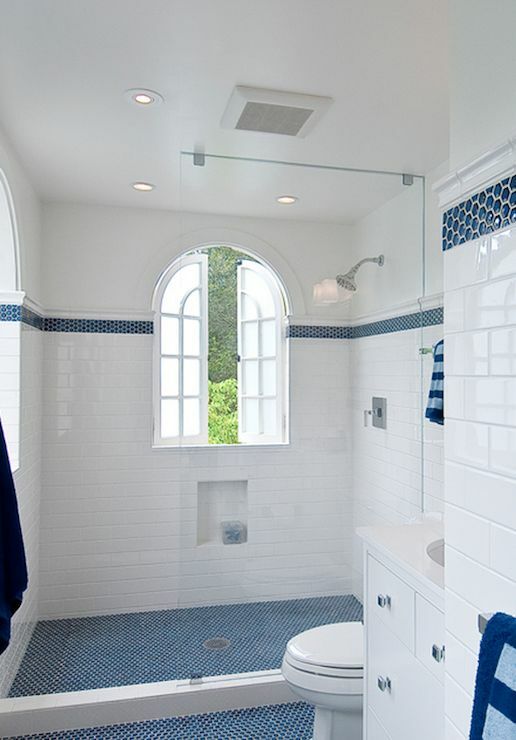 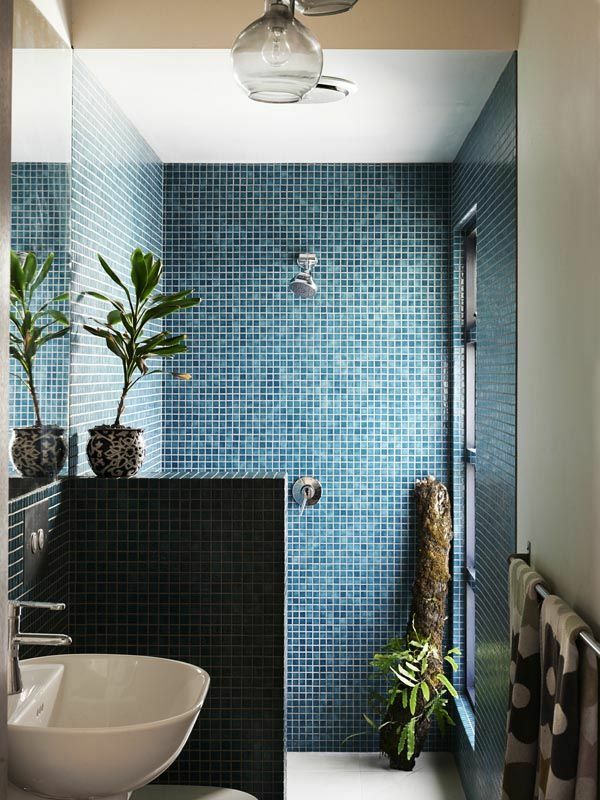 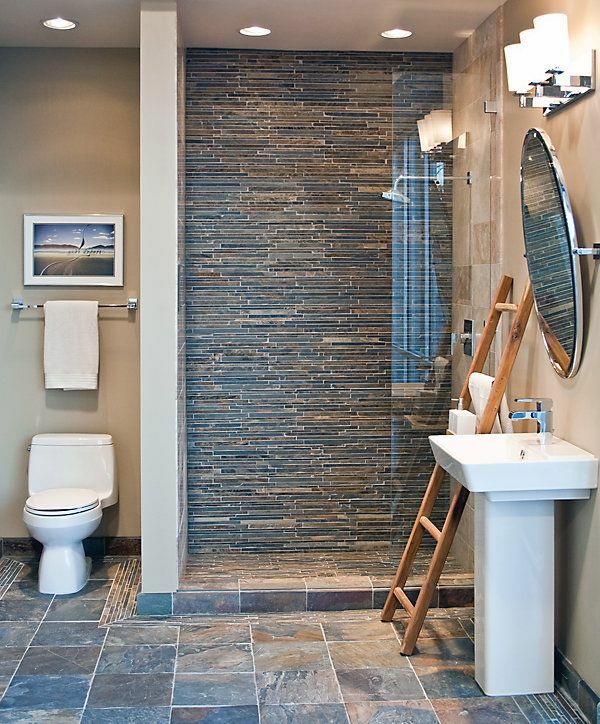 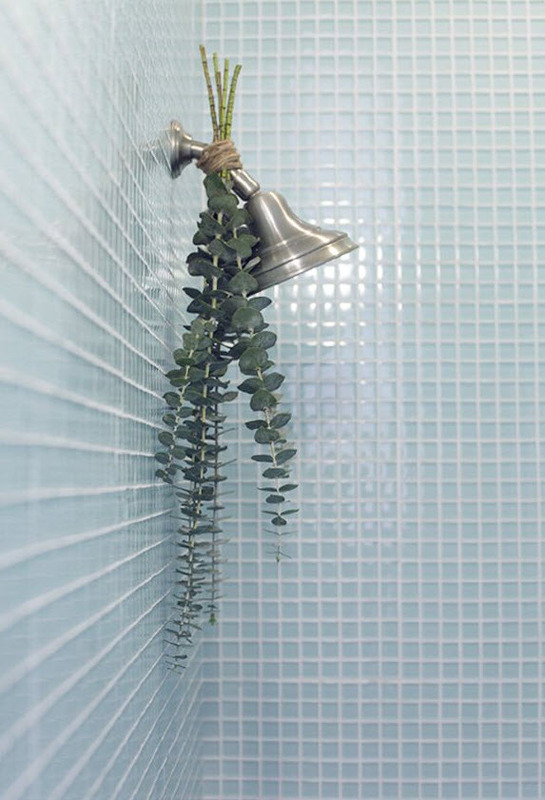 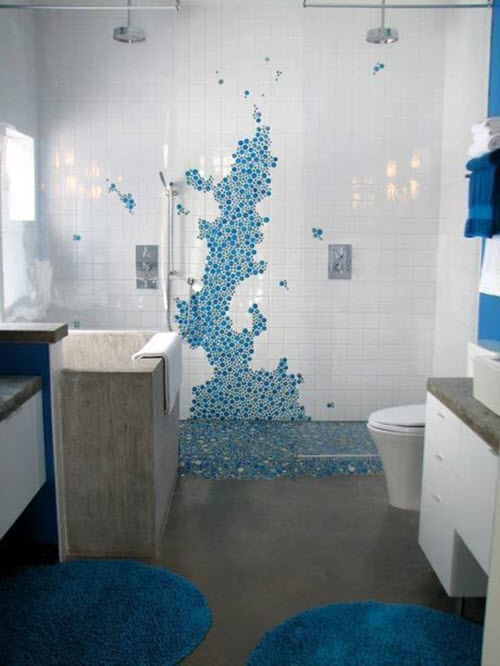 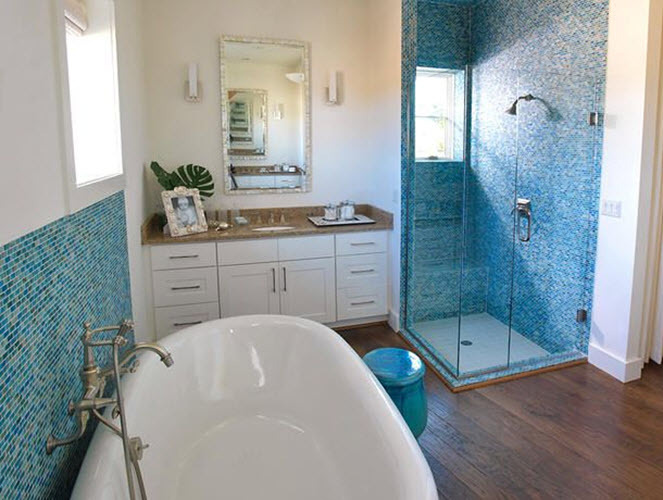 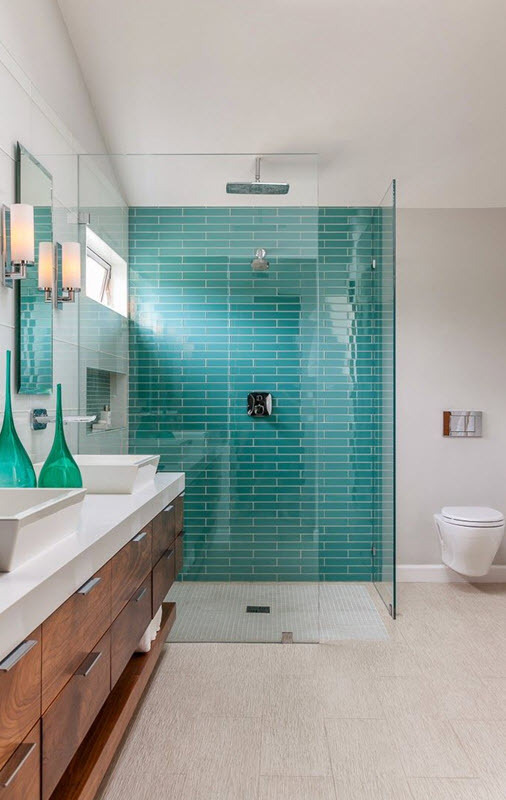 Look at these photo ideas and behold the beauty of the blue tile in shower zone!